I associate grilling with simplicity and relaxation. 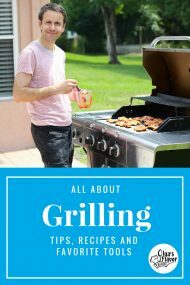 Most likely because my husband is the one who actually does the grilling part of the process:). 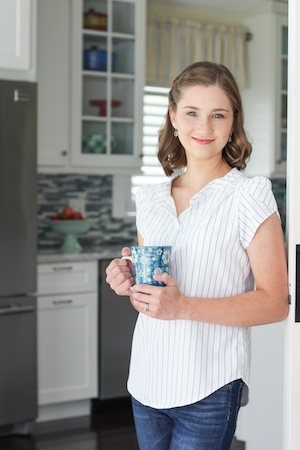 Besides that, preparing food for the grill usually involves only a few really basic steps. We don’t have a grill in our backyard, because we don’t have a backyard; we live in an apartment. This is why we only grill when we have a free evening or on the weekend when we don’t have any major obligations. Thus, grilling represents a clean kitchen, very little mess to clean up after dinner, and putting my feet up as I sit nearby waiting to sink my teeth into a charred and juicy Beef Kebab. Even better is when I sit at the edge of the pool, with my feet in the water and catch up on some reading. 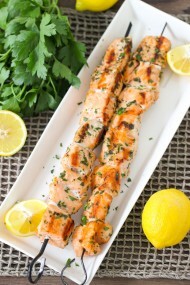 These Kebabs have everything you could wish for in a grilling recipe – very little prep work, amazing results, and a you’ll have your entire meal prepped and cooked at the same time, both meat and side dish. 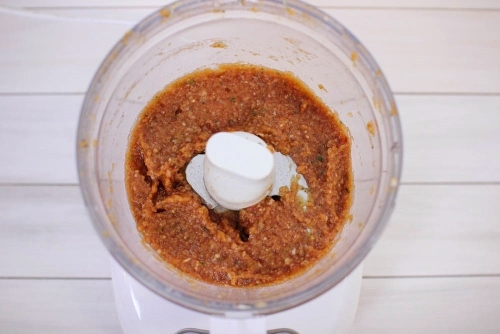 The marinade is super flavorful and infuses the beef and vegetables and complements them harmoniously. I am a girl who appreciate a good steak, and these Beef Kebabs are everything I was looking for. I love how charred, crisp they get on the outside but the meat is still so juicy. The vegetables are the star of the show for me, though. Yes, I could eat all of these vegetables by myself in one sitting and be as happy as a clam. You will never need to be disappointed in mushy, watery and flavorless vegetables again. Cut the beef into 1 1/2 – 2 inch cubes. Cut the zucchini in half and cut each half into approximately 1 inch pieces. Take the seeds out of the bell pepper and cut it into 1 1/2 inch pieces. Cut the onion into 1 1/2 inch pieces also. 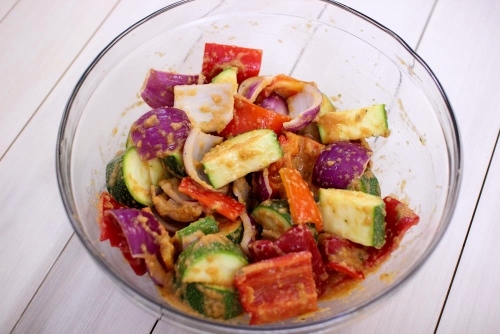 Toss the vegetables with 3/4 cup of marinade and set aside. 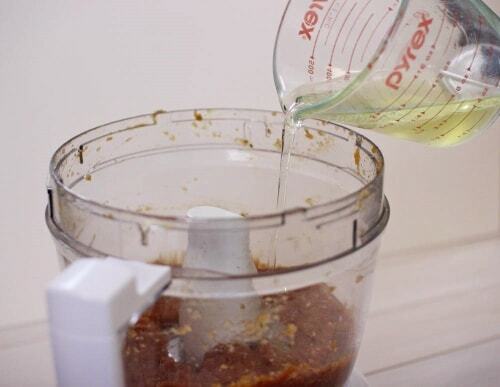 Toss the remaining marinade with the beef and refrigerate for at least 1 hour. I’ve marinaded the beef overnight and it turned out great too. However, I wouldn’t recommend marinating the vegetables too long in advance, not longer than 2 hours. If you want, you can marinate the beef ahead of time, set aside the marinade for the vegetables and toss it together an hour before grilling. 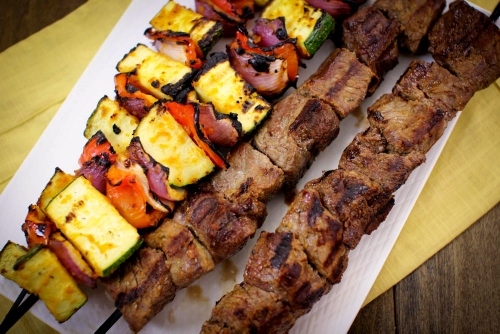 When you’re ready to grill, wipe off excess marinade from the Beef Kebabs with paper towels. Thread the beef onto skewers, I usually get 2, sometimes 3 skewers (approximately 12 inch skewers, each). Thread the vegetables onto 2-3 more skewers. 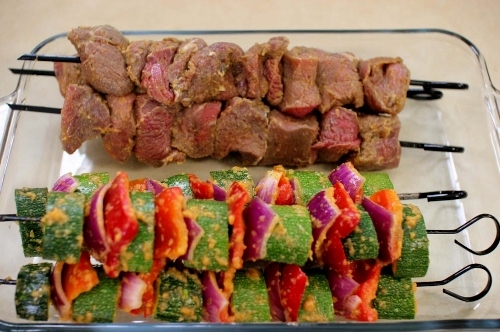 As you see in the pictures, the beef is almost dry, while the vegetables have more marinade on them. When you place the meat on the grill, it’s important for the meat to be mostly dry, so you get a nice char. 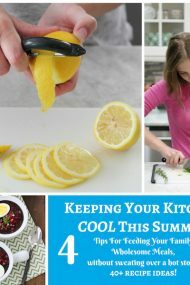 If you place the meat on the grill and it’s still wet, it will start to steam, and the meat will cook through before the outside gets any browning at all. Do you like gray, rubbery meat? No? Neither do I. This is also why it’s important to preheat the grill really well and grill the meat on a high temperature. Preheat the grill on high heat for about 15 minutes. Place the Beef and Vegetable Kebabs onto the grill, reducing the heat on the Vegetable Kebabs just slightly to medium high. 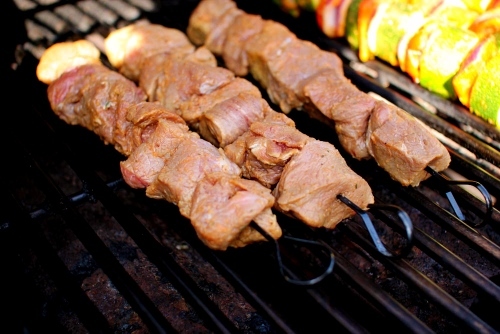 Grill the Beef Kebabs for 12-16 minutes, rotating every 3 minutes or so, until the meat is seared on all sides. 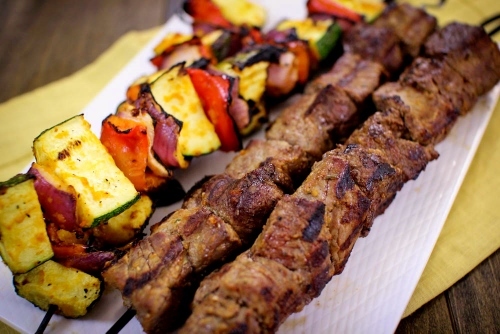 Take the Beef Kebabs off the grill. Cover them with aluminum foil to stay warm and allow them to rest while you finish grilling the vegetables. This will also help the meat to rest and the juices to redistribute, giving you juicy meat, not rubbery and dry. 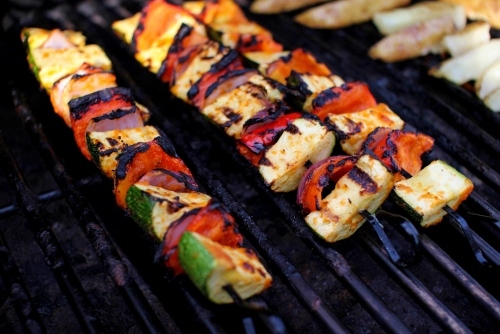 Grill the vegetables for another 5 minutes, rotating the vegetables so that they are seared on all sides also. 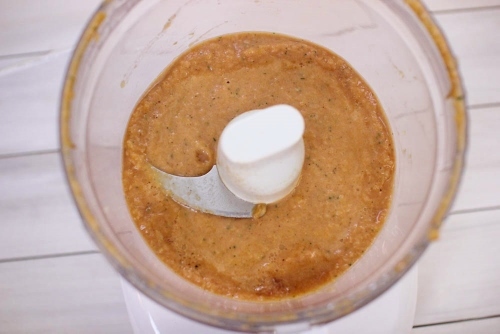 Start by making the marinade. 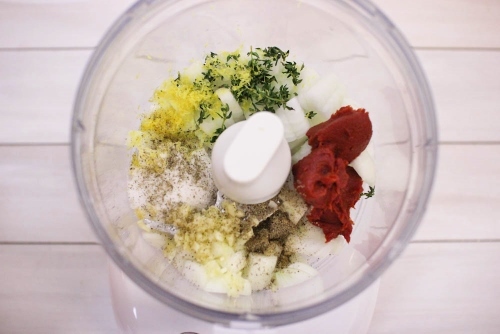 Pulse all the ingredients in a food processor until pureed. 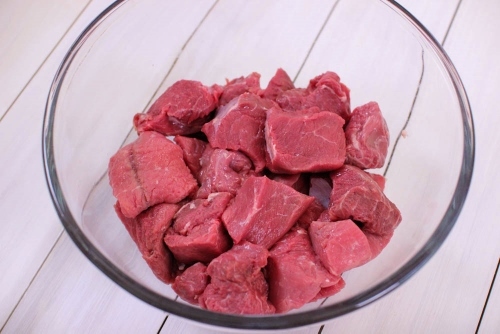 Cut the beef into 1½ - 2 inch cubes. Take the seeds out of the bell pepper and cut it into 1½ inch pieces. Cut the onion into 1½ inch pieces also. 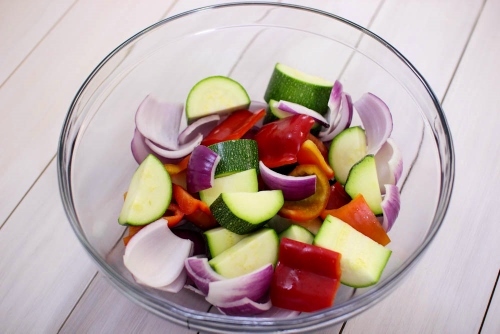 Toss the vegetables with ¾ cup of marinade and set aside. 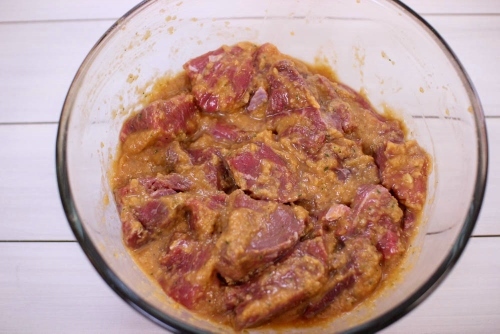 Toss the remaining marinade with the beef and refrigerate for at least 1 hour. I've marinaded the beef overnight and it turned out great too. However, I wouldn't recommend marinating the vegetables too long in advance, not longer than 2 hours. If you want, you can marinate the beef ahead of time, set aside the marinade for the vegetables and toss it together an hour before grilling. 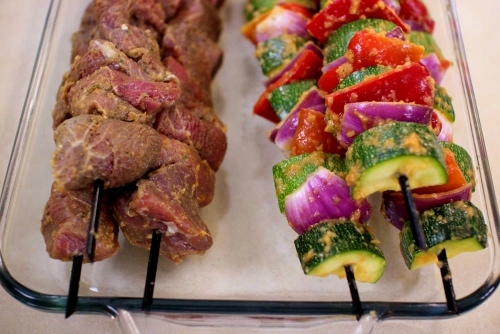 When you're ready to grill, wipe off excess marinade from the beef kebabs with paper towels. 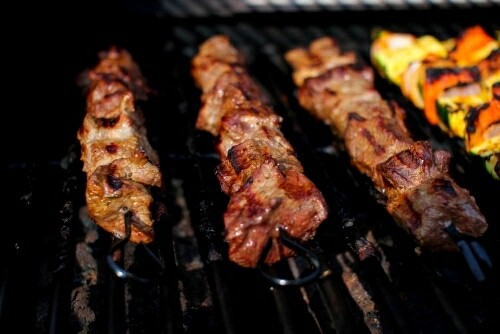 Thread the beef onto skewers, I usually get 2, sometimes 3 skewers (approximately 12 inch skewers, each). 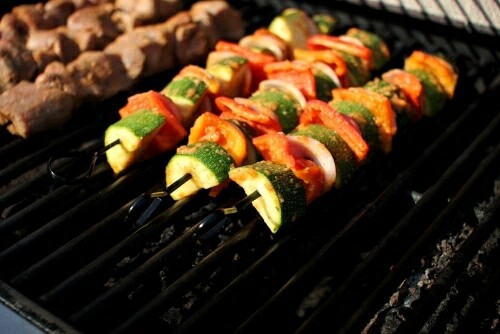 Thread the vegetables onto 2-3 more skewers. I was planning to make something else. No sonner then you posted d recipe , I changed my mind n went to prepare marination. 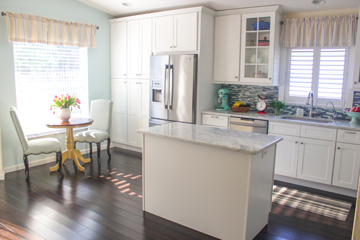 I turned out so delicious that my 3.4 year son was asking for more….n that is very rare. I followed your recipe but after paper drying I gave them spice rub( cumin powder, paprika, cinnamon pwd). We like spices. Super, Shirley! The spice rub sounds like a great addition. I’m so glad that it was a hit with your son too:). Thank you for the tips Olga, and those are some great pictures…I’m drooling :D.
Enjoy sitting by the pool with a good book Olga! Savor it for it is not for much longer… 😉 I would jump at the chance, as relaxing by the pool has changed into running after the little one who loves water yet loves to run and thinks she’s invincible running on pavement right by pool edge and a 6 year old who’s favorite phrase is “mommy, mommy, mommy…” Oh and did I mention I am hoping to be expecting another little one soon? Life is good, the different chapters of life are good… I wanted to remind you to enjoy the now, because you surely will enjoy the later but you will never have the chance to go back to now. 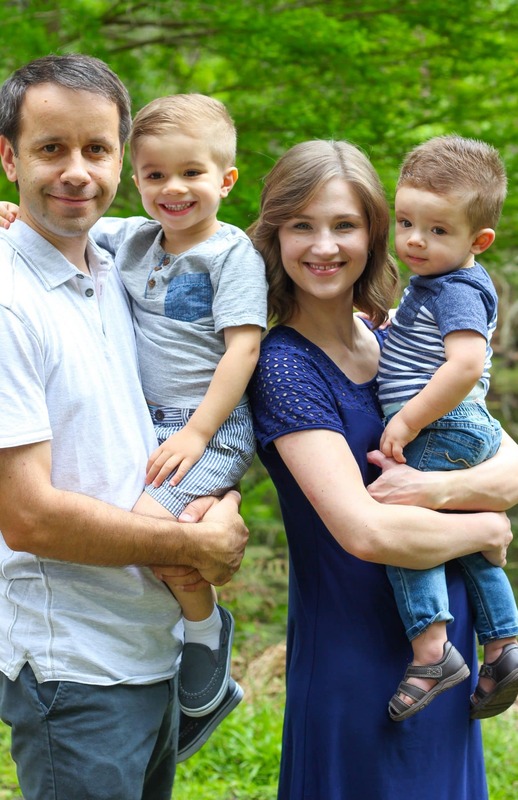 May our God bless and lead you! I certainly do enjoy it! You’re right, every stage of life is special in it’s own way.